Whisk together flour, baking soda, salt, and spices. Set aside. Combine butter with both sugars and beat until fluffy. Add the egg and molasses; mix well. Add the reserved dry ingredients, one half at a time. Mix slowly until just combined. Cover and refrigerate the dough at least 2 hours or overnight to allow it to firm up. 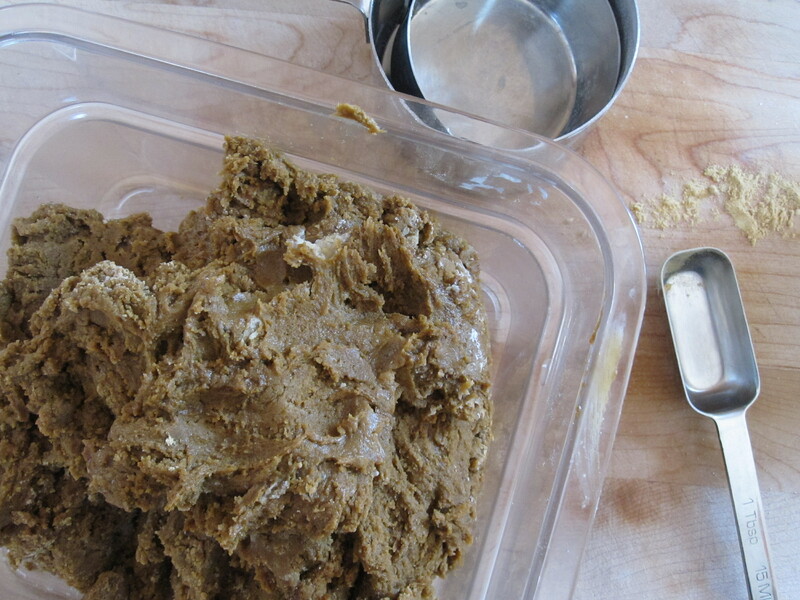 Scoop out roughly 1 1/2 tablespoon pieces of dough and roll between your palms to make even spheres. 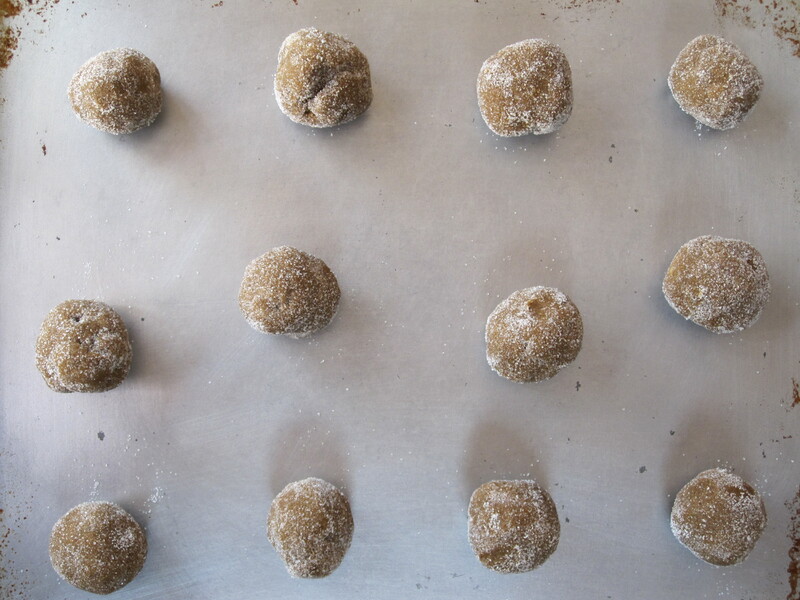 Roll each ball in a dish of granulated white sugar. Place dough balls on an ungreased baking sheet. Use a wide-bottomed drinking glass to press dough balls down into flat circles. 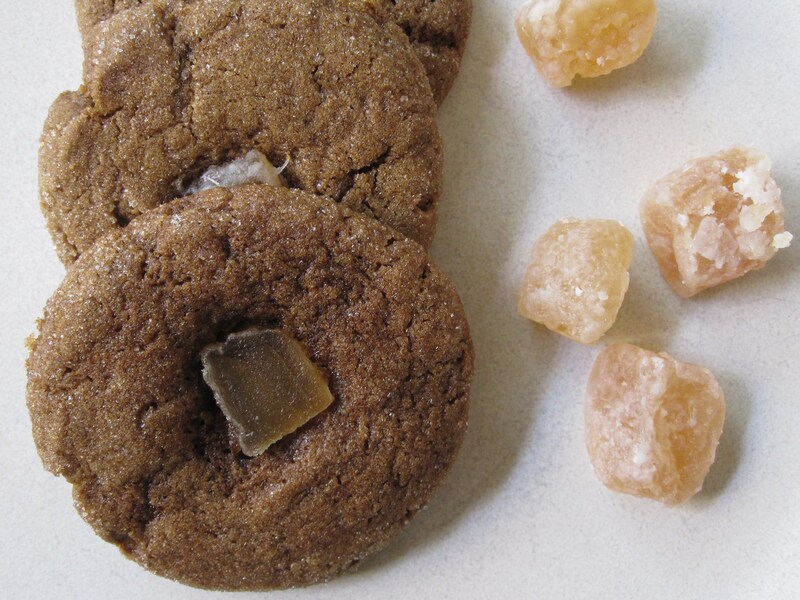 Press a slice of crystallized ginger gently into the center of each cookie. Bake cookies 12-15 minutes until lightly browned on the edges and set in the center. Let cookies cool on a wire rack. Serve immediately or store in an airtight container. Mmmm, I love ginger cookies and your philosophy of extending the holiday! Ginger cookies are one of my favorites! And it’s a perfect little snack to have during the holiday weekend. Hope you had a great Thanksgiving! I felt like baking today, too. I love these cookies. Nothing like a little spice to brighten up the day. LOVE ginger cookies! And my philosophy is you can never bake too much.